Elk has launched their new dual path alarm communicator for Elk M1 systems. The C1M1 will automatically determine whether to use IP or cellular communications when both are available and will automatically fall back in case one cannot communicate. It can also be set to use one or the other exclusively by the installer. IP communication does NOT require a static IP or port forwarding set up making it perfect for maintenance free installs. Installers can update and program Elk M1 systems remotely using the C1M1 over both cellular and IP in addition to using it for professional alarm monitoring. Cellular communication requires a Telguard account. IP monitoring requires a monitoring station with a Surguard receiver which most have available. The C1M1 can be used by the end user to check status, arm and disarm the panel using the free ElkLink iOs and Android apps. The apps also show recent activity. End users can also set up email or SMS alerts on alarm arming, disarming and alarm activation. Both eKeypad and Droid M1 both support the C1M1. The C1M1 is used instead of, and cannot be used at the same time as, an M1XEP. While it cannot send email/SMS using ElkRP rules, it is compatible with the ISY994 Elk module. 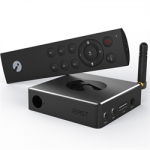 It can also be used to integrate with other 3rd party systems. 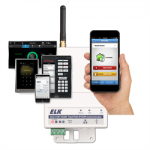 Elk M1 installers finally have a robust, dual path communicator with automatic fail over, making one of the best alarm and automation systems, even more robust and accessible.